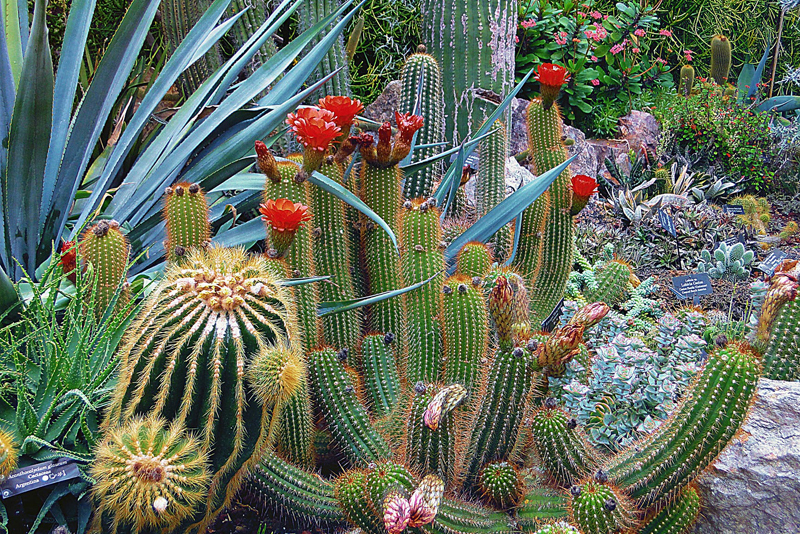 There are sixty plant families that are commonly known as succulents. One of these families is Crassulaceae, and of the more than fifty types of Crassulaceae, one type is echeveria. Echeverias are characterized by their rosette shape. There are over one hundred different echeverias with a wide range of colors. Echeverias got their name from the 18th century Mexican botanist Atanasio Echeveria y Codoy. He traveled through Mexico observing and drawing native plants. Echeverias are native to Mexico, Central America, and South America, with one variety being native to Texas. Knowing where a plant comes from helps us know how to care for it. Echeverias grow natively in rocky soil in warm climates. A succulent that looks very similar is the sempervivum. The sempervivum, however, is an Alpine plant, and can grow in colder areas. A third succulent with a rosette shape is the aeonium. It is native to the Canary Islands, Madagascar, and East Africa. Like the echeveria, it is frost sensitive, but can grow well in partial shade. Echeverias need a fast draining soil to thrive, and they are not frost hardy. In the winter, even in frost-free areas, the outer leaves may turn brown. These should be removed because they can harbor fungus or mealy bugs. Echeverias like full sun, which will help keep the rosette compact. They do not do well indoors. If they do not get enough sun, they can become lanky. Before the plants become overgrown, it’s a good idea to start some new plants so you will have replacements ready. Like many others succulent plants, echeverias produce offsets, which are little copies of themselves that sprout from the side. These can be cut off to start new plants. The rosettes can also be cut off the main stem, leaving about an inch of stem to place in the potting mix. You can even start a new plant from a leaf cutting. Cut the offset or rosette with a knife or pruner that you have sterilized to prevent the spread of disease. Let the offset or cutting dry out for a few days so the cut end has calloused over. This, too, will help prevent disease. Insert the cutting into potting mix and water once a week. It will take several weeks, but eventually you will have new plants. Unlike sempervivums and aeoniums, echeverias are polycarpic. This means that they do not die after producing a flower. You can enjoy your echeverias for many years to come.